According to the philosopher Luciano Floridi, these approaches represent the “two souls of AI” that both claim a single common heritage in the Dartmouth Summer Research Conference on Artificial Intelligence. 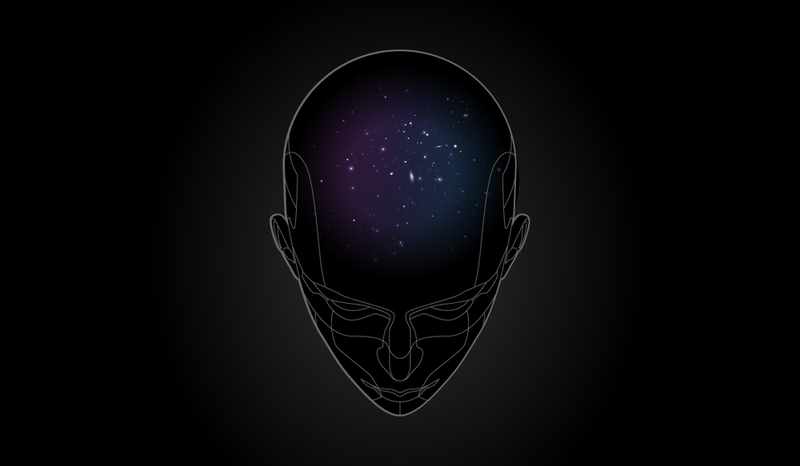 The cognitive approach to AI attempts to emulate human consciousness. While the engineering approach attempts to only simulate some aspect of intelligent human behavior at best. Strong AI is the hypothesis that the cognitive approach will be successful using computers alone. Weak AI claims that the engineering approach to computer AI is sufficient to simulate intelligent human behavior. The distinction between the engineering and cognitive approaches to AI is not explicit and many suppose that these different research projects are the same. Because of this conflation, it is naturally assumed that progress in one approach means progress in the other, but this is not the case. It is a mistake to assume that there is a natural progression from the current work on computer technology to creating conscious machines. If it is possible to create an artificial conscious machine, a completely different technology than computers will be needed. Trying to use computer-technology to create consciousness will be as fruitful as trying to make a chair out of helium gas. It is simply the wrong approach. John Haugeland, Artificial Intelligence: The Very Idea (MIT Press 1985), 2. Stuart Russell and Peter Norvig , Artificial Intelligence: A Modern Approach (PearsonEducation, 2003), 2. Luciano Floridi, The Fourth Revolution: How the Infosphere is Reshaping Human Reality (Oxford University Press, 2014), 140. In pop-technology writings, it is common to read about a distinction made between what is called Artificial Narrow Intelligence and Artificial General Intelligence—often abbreviated as ANI and AGI respectively. The terms are meant to refer to categories of machines—both existing and hypothetical. The distinction is problematic and the terms are often used with little precision or consistency. “General AI” is often described as “human-level AI”. Though only hypothetical, its crowning feature is a general problem solving ability that enables it to learn new tasks across several domains. This feature is emphasized so frequently that those who talk about general AI seem to assume that this is the most relevant feature of human intelligence. Sometimes the term “General AI” is used synonymously with “Strong AI” (not to be confused with its original meaning). The concept of General AI is ambiguous between the simulation/emulation distinction. Is human-level AI human-like in terms of its power to simulate human speech and behavior? Or, is it human-like because it can emulate human intelligence and consciousness? Understanding the difference will be important for future legal, ethical, and social concerns. When people refer to existing technology as ‘AI”, they often classify it as “Narrow AI”. It is called narrow because it performs tasks that normally require human intelligence, but can only perform tasks in a very specific and narrowly defined domain. The common example is a chess program that can only “play” chess, but cannot learn how to do anything else. “Narrow AI” is often used synonymously with the term ‘Weak AI’ (again not to be confused with its original meaning). The concept of Narrow AI is problematic for 2 reasons. First, it is a moving target. There are many computer systems that can perform tasks that normally require human intelligence and in a narrow domain, but we don’t consider them to be AI. A simple pocket calculator is such an example. If you compare the speed and accuracy of a pocket calculator to human capabilities, then a pocket calculator is super intelligent. But, we don’t think of a pocket calculator as artificially intelligent even though it fits the above description of Narrow AI. Some may object that current AI technologies are more complex than a pocket calculator. What we currently call AI can process more complex inputs, can do more complex tasks, and have a wider range of responses to more complex situations. So is Narrow AI just a computer system that is more complex than previous computer systems? If so (and how it could be otherwise) then what happens when the technology becomes even more complex in 20 years from now? In 2038, we likely won’t call 2018 technology ‘AI’. Our future view of current technology will be similar to our current view of technology of the past. Added complexity by itself is not sufficient to warrant a comparison between computer systems and human intelligence. Second, there are many computers systems that people tend to call ‘artificial intelligence’ that perform tasks that people can’t perform at all. For example, a tsunami warning system can detect oceanic changes that are imperceptible to humans. AlphaGo—a go-playing computer—can detect patterns unnoticeable to humans and can make moves in a very un-human-like way. These and other examples of ‘narrow AI’ question the usefulness of comparing computers and humans. The term “Artificial Intelligence” was coined by John McCarthy in 1955. He described the problem of Artificial Intelligence as “that of making a machine behave in ways that would be called intelligent if a human were so behaving.” My previous 2 blog posts have been about some of the philosophical distinctions that arise the comparison between humans and computers. More than 60 years after the term was coined, it is unclear how useful the human-to-machine comparison has been, at least for our practical development of computer hardware and software. For most practical purposes, the comparison to humans is irrelevant. We have some task or job to be done, and we use computers to help us solve those problems. The current field of artificial intelligence really isn't about emulating or even simulating human behavior unless you are talking about improving animatronic puppets or making video games more realistic. The current field of AI is really about advances in automation. According to Jerry Kaplan, an AI expert at Stanford University, "Little more than speculation and wishful thinking ties the actual work in AI to the mysterious workings of the human mind." This post continues a philosophical examination of Artificial Intelligence started in the previous post. 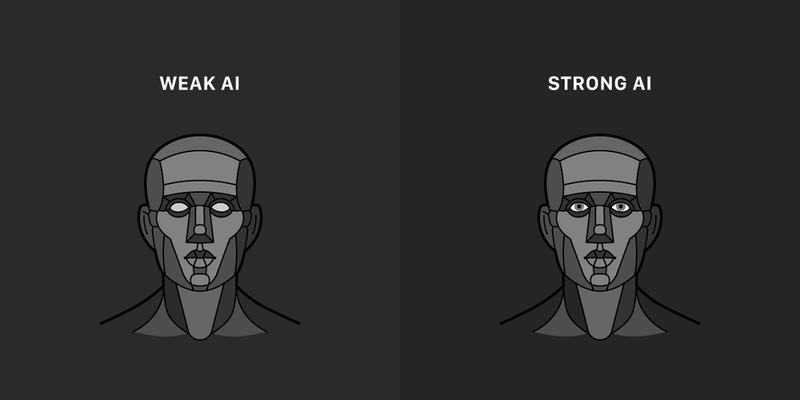 The distinction between Weak and Strong AI refers to claims about the capabilities of computers. Popular uses of the terms ‘Weak AI’ and ‘Strong AI’ are less carefully defined than their academic uses. 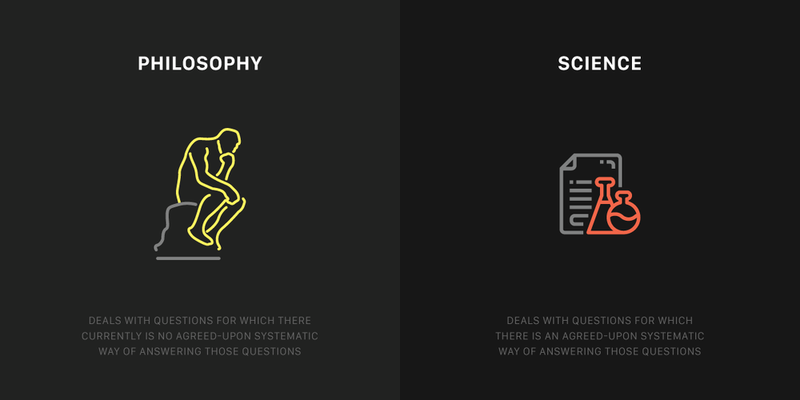 The original terms were coined by the philosopher John Searle in 1980. Weak AI is the hypothesis that a powerful enough computer could simulate any aspect of the human mind. Strong AI—in its original intended definition—is the hypothesis that "the brain is a digital computer, and the mind is a computer program". This view implies that if a programmer types the right program into a computer console, then that program would emulate (be equivalent to) a human mind. Imagine that we created a robot that was built with powerful computer hardware and software. Imagine that the robot was so life-like in appearance that it was indistinguishable from a human being in movement and speech. Those who accept Weak AI but reject Strong AI would say that it is logically possible to create such a computer-powered robot, but it could only ever simulate human intelligence. No matter how much computer technology advanced in the future, it could never literally be intelligence or aware, nor could it have any intrinsic rationality. It would just be a metal and silicon zombie. Some assume Strong AI and believe that creating consciousness is simply a matter of creating the right computer program (Philosophers Daniel Dennett and David Chalmers). Others reject the view that consciousness is intrinsically computational but accept Weak AI that computers could hypothetically simulate any aspect of human consciousness (John Searle). 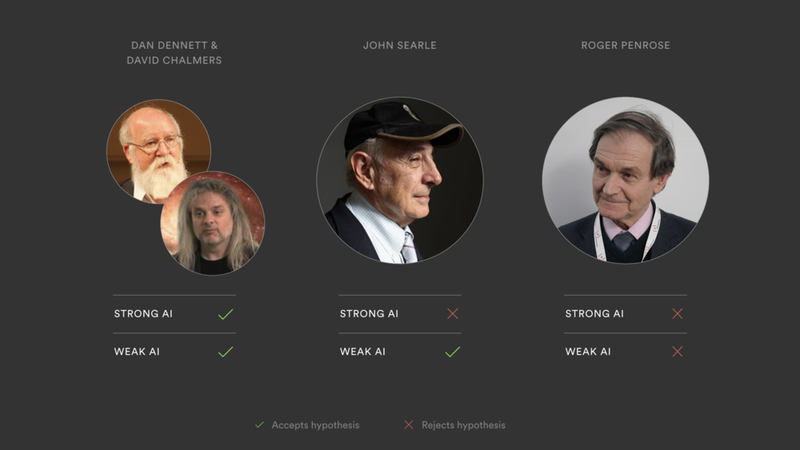 Others reject both Strong and Weak AI believing that there are some aspects of the human mind that not even a computer could simulate (Mathematical physicist Roger Penrose). Weak AI Computer software + hardware alone can simulate every aspect of a human mind. Computer software + hardware alone can emulate a human mind. One can reject either Strong AI or Weak AI and still believe that we could hypothetically create an artificial machine that could literally be conscious. However, that machine could not be a computer. It would have to be a machine that is much more powerful than a computer. According to one theory, a machine could emulate the human mind if it reproduced the causal mechanisms of the human brain that cause consciousness (assuming we will eventually understand how those mechanisms work). More on this in later posts. Observer-relative vs. Observer-independent features of reality. In one sense, AI is thought to simulate some aspect of human appearance or behavior. ‘Simulate’ as it is used here is synonymous with imitate, mimic, pretend, or ‘give the appearance of’. In another sense people think of AI as doing more than just mimicking human behavior. They think of AI as actually emulating some aspect of human mental life. In this context, emulate means to reproduce or duplicate the functions of system in a way that is practically identical to the thing being emulated. 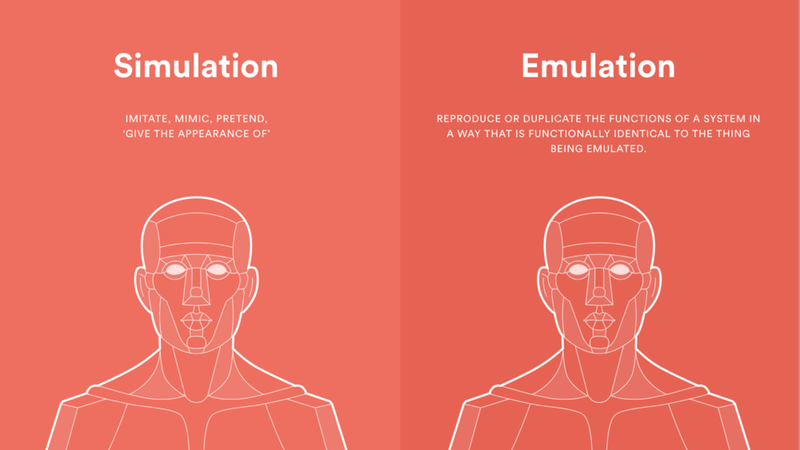 The difference between simulation and emulation can be clarified by another distinction between the 2 ways in which we use the word “Artificial”. In one sense, the word “artificial” refers to something that is not real, only an imitation. For example, artificial butter is not real butter but only an imitation of the real thing. In this sense ‘artificial’ is contrasted with ‘real’. ‘Artificial’ can also refer to something that is real but produced by artificial means. For example, artificial diamonds, also called synthetic or lab-grown diamonds, are real diamonds. They are identical in terms of being made of the same material (pure carbon) and having the same structure (crystallized in isotropic 3D form). They just aren’t produced via natural geological processes. In this sense ‘artificial’ is contrasted to ‘natural’. 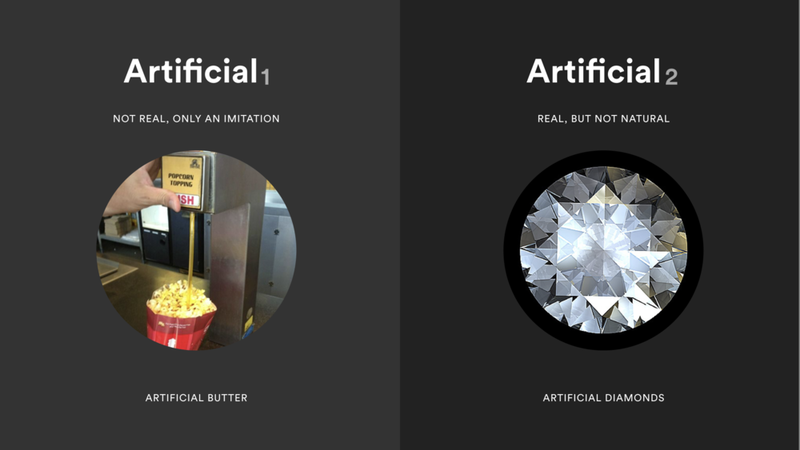 So artificial can either mean “not real” or “not natural”. AI that simulates intelligence is “not-real intelligence”. Used in this way, the word “intelligence” is only figurative or metaphorical. AI that emulates intelligence is “not-natural intelligence” but it is still real. This is a literal usage of word “intelligence”. Artificial in the sense that it is not real, only an imitation. Imagine that we created a machine that is literally intelligent in sense of being practically identical to a human in terms of intelligence. This would be an Emulation AI as described above. Such a machine would also include whatever is necessary for literal human-like intelligence to exist such as conscious awareness, desires, intentions, rationality and perhaps even emotions. By contrast, those intrinsic features would be missing in a Simulation AI even though we may talk as if it had awareness or rationality. This distinction shows that the Turing test is no help in identifying whether or not a machine is truly intelligent. For the test provides no criteria for identifying whether a machine that could pass the Turing test is an emulation of true intelligence or merely a simulation.